Ayurvedmart App is India's Widest range of Ayurveda Products, Ayurveda herbs & Herbal Products. 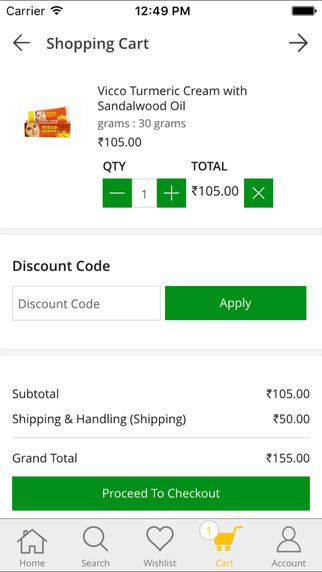 Download Ayurvedmart application to buy Baidyanath, Dhootapapeshwar, Patanjali , Charak, Zandu, Dabur, seth brothers, vasu, Aimil, Jamna Pharmaceuticals, maharishi Ayurveda, Himalaya, Sharangdhar Pharmacueticals, safe Life, Herbal Life, Amway, Tanvi herbals, Alarsin,Lion,Nagarjun Pharmacy, Multani,Ashtang Herbals, Unjha Pharmacy, Vicco laboratories, Ayurveda Arkshala, Rasahala, Sri Sri Ayurveda, Vyas, Ban, Nisha herbals, ratan, Vaid Rishi, Hamdarad and Many more Brands products direct through your ayurvedmart mobile app. You can also buy Ayurvedic Herbs or you can also call as Jadibuti with Ayurvedmart App. 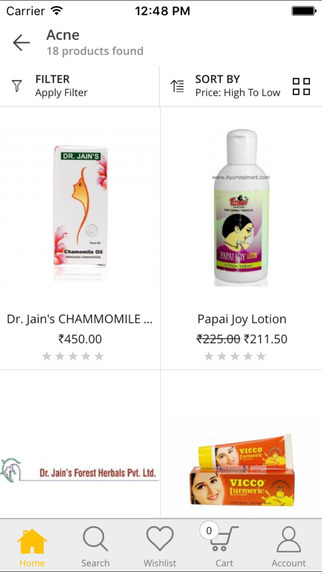 With AyurvedMart Mobile App you will be able to shop or buy products by Health Categories, By Brands or by Classical Ayurveda Categories. You can buy also by Ayurvedic Books, Ayurvedic CD, DVD, Ayurvedic Softwares, Ayurvedic Preparations, Ayurvedic Panchakarma Instruments online with very ease. AyurvedMart Application is an Offical app of COMPANY "" JAY JALARAM AYURVED BHANDAR""